Waterbury, VT – The American Racer Three Star program is designed to recognize three teams in no particular order of performance that had outstanding races at American-Canadian Tour (ACT) U.S. Tour events. There are no specific criteria for deciding who might receive the award of a free American Racer Tire (value $125.00), but a special effort by a team, exceptional race, just plain old hard luck, or any other accepted reason is used to decide the award recipients. The Three Stars are chosen by ACT officials and will receive certificates for use of a free American Racer tire at a race of their choosing during the 2015 season. The grand opening of the newly refurbished Groveton, NH ¼-mile oval was a great success. Thirty-seven ACT teams came to support the Laquerre family's effort to restore one of the region's oldest tracks, which had fallen on hard times over the past decade. An incredible effort by many people, led by Joey Laquerre, was a true example of the racing community getting behind a project for the good of a region and short track racing. The ACT 151-lap event was spirited, and although it was shortened by rain, the huge crowd that attended seemed satisfied and grateful. Finding three stars to honor was not an easy task. It started with the many volunteers that helped Joey Laquerre and his team pull the old facility into what is going to become a tremendous short track which can provide a boost to the local economy. It is sure to become a favorite of the ACT Late Model teams who came from Thunder Road and the U.S. Tour – along with some old faithfuls like the retired Randy Potter, who strapped into Joey Laquerre’s familiar 15VT for the event after he volunteered to paint the walls around the Speedway. 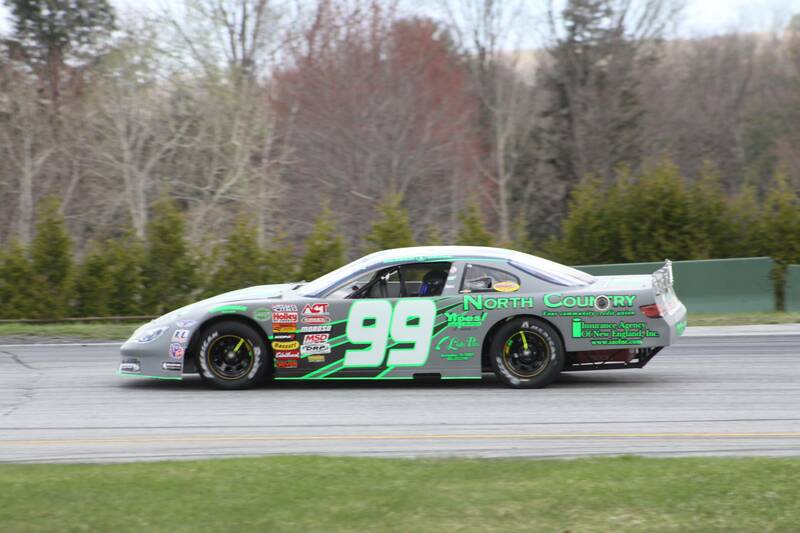 Kyle Welch, Newport, NH – 9NH—The 9NH team has not gotten off to the start they had hoped for during the 2015 campaign; mechanical failures seemed to follow them from the ACT trip to New Smyrna Speedway last February. But after grabbing their first ACT win a year ago at Speedway 51 (formerly Riverside Speedway), this event was circled on their calendar. They took advantage with a very steady ride during the feature. Welch seemed poised for an even better result, but when the rains came, many of the strategies from regular ACT Tour teams did not get a chance to play out. Still, a steady ride from the 14th starting position to a top-five finish can be the catalyst for the young charger heading into the second half. Kyle and his team are relentless with their effort, and it showed at what has to now be one of his favorite tracks. The team climbed into the top-ten in points and are only 39 points out of fifth as we near the season's halfway mark. It will be a very interesting second half and the 9NH is positioned in the thick of the battle. They certainly deserve a Star of the Race Award for their Speedway 51 effort. Cody Blake, Barre, VT – 99VT—This Thunder Road regular does not step out often to run ACT Tour events, but the smooth Blake has the right DNA to compete, particularly on ¼-mile race tracks. Cody comes from racing stock; his dad was a former King of the Road at T-Road, and Cody has come through the ACT system to be a contender every time he straps in while surrounding himself with knowledgeable people such as established crew chief Joe Gaddis. His ability behind the wheel and the knowledge in the garage showed itself last Saturday night. Qualifying at Speedway 51 was fierce with the large number of cars and the 99VT team found themselves needing to get into the race through the B-Feature. But what makes the Blake team so successful is their ability to come from the rear of the field to earn great feature finishes. That was the case again at the Generation Next 151. Cody started 25th in the competitive field, and in usual fashion carved his way methodically and unscathed to a top-10 finish. It would have been interesting to watch the remaining 60 laps unfold to see if this young team had more left after what was obviously a comfortable ride through the field. For this outstanding feature effort, a Star Award goes to the 99VT team. 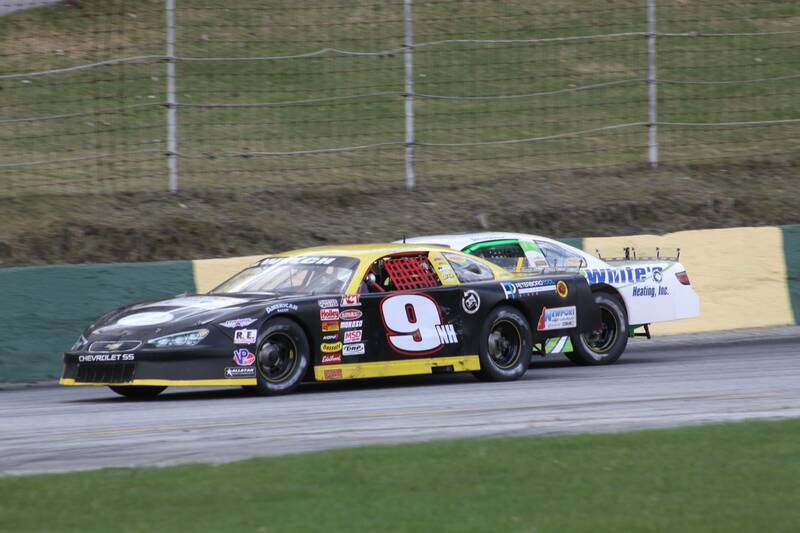 Jimmy Hebert, Williamstown, VT – 58VT—Long-time fans of ACT racing probably cannot remember when a team that was expected to challenge for a championship has had a worse start then the Hebert Racing team. Some events have ended with bent clips, and others with mechanical issues, creating a miserable year overall. This Star Award is going to a team that has had one of the worst starts to a season in ACT’s long 30-year history. The second-place points team in 2014 started the year with a torn-up race car in Florida, and tough luck has followed them ever since. The Star Award is awarded for bad luck, but more importantly to teams that just won’t give up. From a favorite to contend for a title to just wanting to get a decent finish, the 58VT team's dedication and obligation to each other represents what's good about short track racing. It's hard not to root for the 58VT team to have a good second half, as Hebert has become an accomplished and respectful race car driver, and his team has gone through a quick learning curve over the past three years to establish themselves as contenders. For just “keeping on trying”, the Hebert Racing team is more than worthy of a Star of the Race Award for their effort to get to the next race at Devil’s Bowl. The ACT Late Model Tour will travel to Devil's Bowl Speedway for the People's United Bank 100 on Saturday, June 6 at 6:00pm. The pits open at 12:30pm and the front gates at 3:00pm. Admission is $20 for adults, $18 for seniors, and free for kids 12 and under. For additional information contact the ACT office at 802.244.6963, media@acttour.com, or visit www.acttour.com.